Ms. Ceizler has many years of experience handling complex litigation and transactional matters. She has handled hundreds of cases. She has represented both Plaintiff and Defendants in these matters and therefore brings the unique perspective of an attorney who understands how BOTH sides of the case will be viewed and where each side has weaknesses and strengths. Below is a description of some of the matters on which she has worked. Dealing with pain, inconvenience, and injury as a result of an accident is a difficult experience and challenging for even those of us who feel we are independent and able to handle anything thrown at us. But, without skilled and knowledgeable representation, you may find dealing with insurance adjusters, medical providers, the person/company at fault for your injury, or even Medicare overwhelming. By retaining the best possible counsel, you increase your odds of obtaining the compensation that you deserve and reducing the stress of an already very stressful situation. 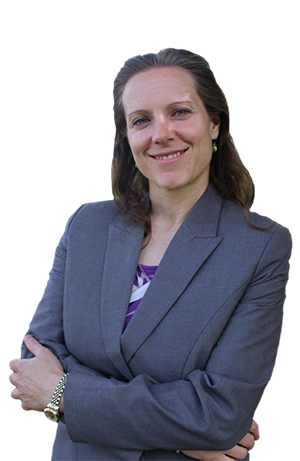 Ms. Ceizler has represented numerous plaintiffs in personal injury matters including car accidents, failed products, and slip/trip and fall matters. She has also represented companies and public entities as defendants in these matters. Ms. Ceizler recently represented two scalding victims who were burned when hot tea was placed in the middle of a table on a lazy Susan while her clients were still settling in to their chairs. The hot tea was brought without plaintiffs' request and without warning. Ms. Ceizler's clients suffered scalding injuries to their legs. The matter was settled for $250,000 at mediation. Ms. Ceizler represented a client who had been in two accidents within a three month period. The second accident resulted in the client suffering a torn rotator cuff even though her car was not damaged. Despite lack of damage to the vehicle and some medical records that were inaccurate, Ms. Ceizler was prepared to try the case. On the day trial was set to start, the insurance company (who originally tried to charge Dawn's client for their driver's car damages) paid $175,000 to settle the case. Ms. Ceizler is a Medicare expert and knows how to open claims with Medicare quickly and early in the litigation. This means that her Medicare eligible clients can obtain recoveries sooner. One of her recent clients was struck by a car while on a golf cart. His accident occurred on May 21, 2015 and by July 21, 2015, she had collected the policy limit from the driver of the car at fault and had cleared the Medicare lien on the matter. Ms. Ceizler represented a public entity that was sued after a driver broke his back when he drove through a sinkhole that plaintiff claimed was caused by Ms. Ceizler's client's negligence. In addition to the plaintiff, the workers compensation carrier sued to recover more than $200,000 it had paid on the plaintiff's claim. Ms. Ceizler aggressively defended the claims in discovery, located an expert to testify that her client had not acted negligently, and located a witness who was willing to testify at trial that the scene was safe at the time of the accident. The case settled for an amount several hundred thousand dollars less than plaintiff's demands prior to the lawsuit. Ms. Ceizler represented a company in a personal injury matter where plaintiff received a strong shock while working on some wiring. During deposition, Ms. Ceizler elicited testimony that showed the plaintiff had misrepresented the truth in discovery responses and knew his actions on the day of the accident were improper and likely to lead to injury. The case settled favorably for Ms. Ceizler's client shortly after the deposition. Ms. Ceizler represented a woman who slipped and fell on melted ice negligently left in the aisle at a grocery store. She was able to prove that the ice had been in the location of the incident in excess of five minutes without any of the many employees in the area doing anything to remove the hazard. The matter resolved favorably for Ms. Ceizler's client during mediation. Ms. Ceizler represented a public utility that was sued in a trip and fall case. Plaintiff was injured while walking on a sidewalk that had some raised and cracked areas. Plaintiff's hand was cut open and surgery was necessary to repair the damage. Plaintiff claimed a leak in a water line for which Ms. Ceizler's client was responsible caused the injury. Plaintiff also claimed she was entitled to indemnification from Ms. Ceizler's client. During discovery, it was shown that there was no leak in the water line. Additionally, after Ms. Ceizler challenged plaintiff's right to sue (as she was not the owner of the property on which the accident occurred), plaintiff dismissed Ms. Ceizler's client from the case. Ms. Ceizler represented a Fortune 100 company that was sued in a dog bite dispute. Plaintiff lived in a trailer home which was owned by a subsidiary of the defendant. Plaintiff was attacked by another tenant's pit bull and sued the defendant for failure to control a dangerous condition (the pit bull). During mediation, Ms. Ceizler presented legal authority that stated her client could not be held liable as a matter of law. The case thereafter settled favorably. Ms. Ceizler represented a shareholder and officer in a lawsuit against another shareholder that had allegedly stolen money from the parties' company through a variety of creative schemes ranging from false rent payments to misdirected bank funds. After several discovery motions were granted and other discovery revealed a double set of books, the case settled favorable for Ms. Ceizler's client. Ms. Ceizler represented a radio station owner in a lawsuit filed against a former station manager for alleged embezzlement of station funds and misdirection of funds to the station manager's personal account. Eventually, the station manager admitted that some of the funds may have been mistakenly converted, and a settlement was reached whereby Ms. Ceizler's client was reimbursed a significant portion of the funds with a promissory note secured by the station manager's real property. Ms. Ceizler has significant litigation experience with contract disputes, but she also assists businesses in avoiding disputes by reviewing and revising their contracts to remove ambiguities and terms that can lead to confusion and therefore litigation. Such reviews generally take only a few hours at most and can save tens of thousands of dollars in future litigation expenses. Ms. Ceizler represented a Fortune 100 company in Federal Court in a contract dispute. The client, who supplied pieces of medical equipment to the plaintiff, had removed some materials from plaintiff's premises. Both parties claimed they were entitled to the materials under the contract and sued each other. After months of discovery, several depositions, and several rounds of settlement negotiations, Ms. Ceizler petitioned the Court the week before trial to exclude the medical center's key evidence. That motion was granted and the case was favorably settled thereafter. Ms. Ceizler has represented numerous clients who are owed money by contracting parties who have refused to pay for materials or services provided by Ms. Ceizler's clients. She has collected millions of dollars for her clients on such claims. Ms. Ceizler represented a large corporation in a dispute with a contractor who had performed his work in a sloppy manner. The contractor sued, claiming he was entitled to payment. During deposition, Ms. Ceizler got the plaintiff to admit he had not performed the work required by the contract in an acceptable manner. The case settled soon after, with Ms. Ceizler's client agreeing to pay only a fraction of the amount plaintiff alleged it owed. In a condemnation matter, Ms. Ceizler represented a large telecommunications company for relocation expenses associated with a taking of property that required the relocation of a telecommunications tower. The property was located in the City of San Francisco. After failing to reach a settlement with the City of San Francisco that had offered compensation that was neither full nor fair, Ms. Ceizler appealed the offer to the City of San Francisco Real Property Department. After a hearing in front of the board, Ms. Ceizler convinced the City of San Francisco to rule against its own department, and her client was fully compensated for every claim it made. The Real Property department advised Ms. Ceizler that she was the first lawyer to bring such a claim successfully in more than ten years. In a dispute that arose among family members due to an erroneous transfer of real property, Ms. Ceizler represented parents that intended to transfer 1/3 of their holdings to one of their three children. They mistakenly transferred all of the interest in the properties to just one of the children and their daughter-in-law refused to return the assets. The matter involved over a dozen properties, with a combined market value in excess of $18 million, varying from single family residences to commercial properties to multi-unit complexes. A complicated settlement was reached after more than three months of negotiation through which various properties were exchanged tax free among the parties. Ms. Ceizler has represented both plaintiffs and defendants in matters involving allegations of failure to disclose known defects with a property involved in a sale. Resolution of these cases require attention to detail, critical analysis, and careful planning. Ms. Ceizler excels in these areas. Ms. Ceizler has represented several companies in condemnation matters and has developed a good working relationship with many of the relocation consultants and law firms that regularly represent litigants in such matters. As a result, she is able to settle claims quickly and efficiently for fair value on behalf of her clients. Ms. Ceizler represented a Fortune 100 company in a nuisance claim brought by a neighbor to one of the company's facilities. The neighbor claimed that a noise from the facility was a nuisance and had resulted in a medical condition. Ms. Ceizler's client claimed the noise had always been present, did not rise above permitted levels, and was not a nuisance. Through discovery, Ms. Ceizler learned that the alleged medical condition was completely unrelated to her client's facility and plaintiff's treating doctor admitted this fact at deposition. The matter settled favorably just prior to the start of trial. Ms. Ceizler was part of the defense team that represented a Fortune 100 company against claims that buried hydrocarbons that had been in the ground for more than 30 years constituted a public and private permanent and contiuing nuisance. Plaintiffs lived in a neighborhood where Ms. Ceizler's client was voluntarily removing the material, but they lived several streets away from the location of the remediation work. The case was dismissed in its entirety when a motion was filed based on statute of limitations claims and plaintiffs' failure to show any damages. I had such negative feelings about lawyers. But you changed my entire outlook on your profession. You have not only given me a fair settlement, but I always felt you were on my side. It has been a total joy being your client. I will always be grateful not for the settlement, but for the way you treated us. You are truly unique.